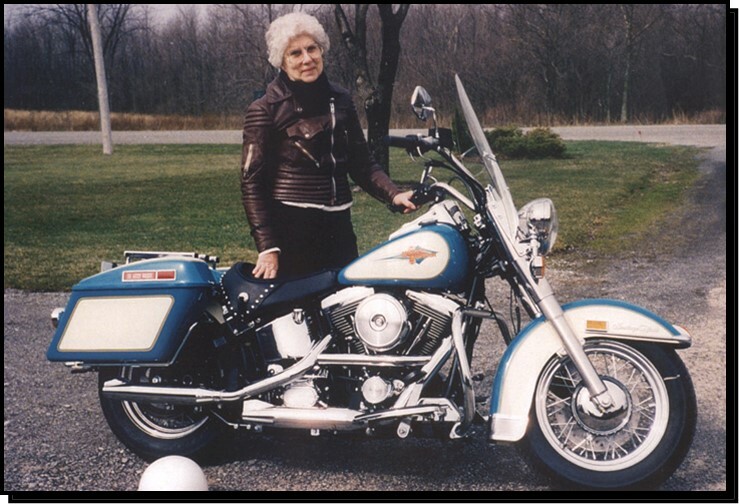 In 1999, Audrey Alexandre was recognized by Harley-Davidson, Inc., for her 50 continuous years of owning and riding Harley-Davidson motorcycles. For a woman who began riding in 1946 it was quite an accomplishment. Born and raised in Welland, Ont., Audrey started riding when women's rights were not clearly established. Many did not even drive cars but the Second World War was the catalyst that liberated them. 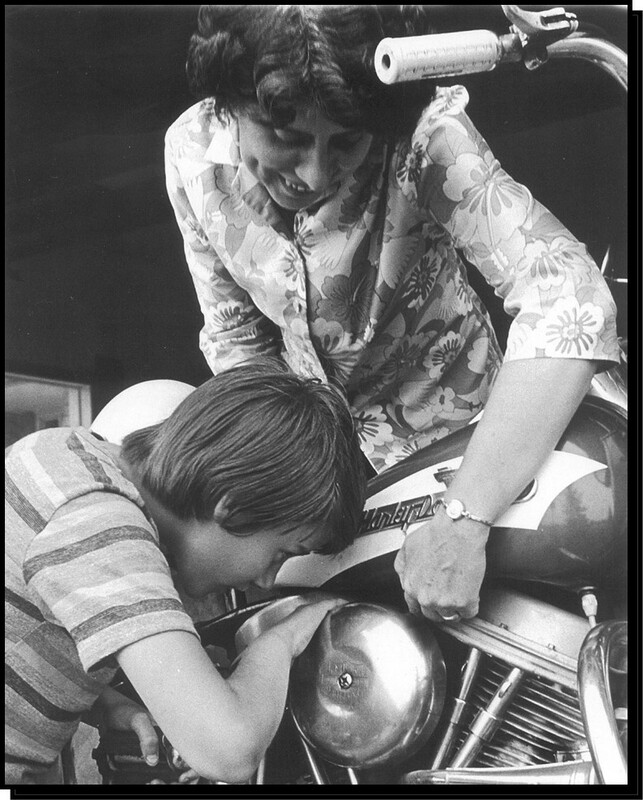 Audrey's love of all things motorcycle began with riding as a passenger with her dad. 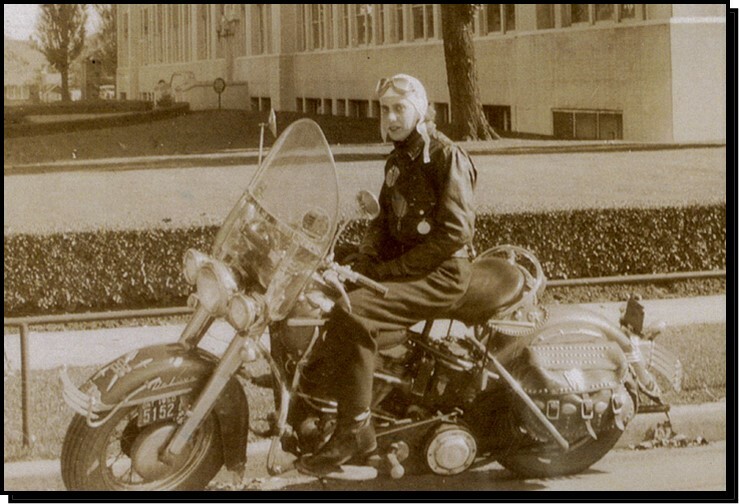 By age 17 she had her own bike, a 1942 Harley 45 cubic inch ex-army machine. 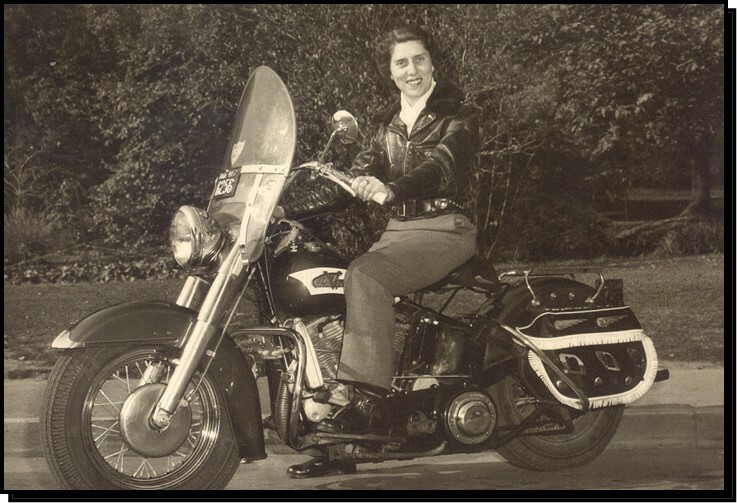 Also in 1949, she joined the newly formed Skyhawks Motorcycle Club after a unanimous vote to allow women as members; she immediately took on the role of treasurer. 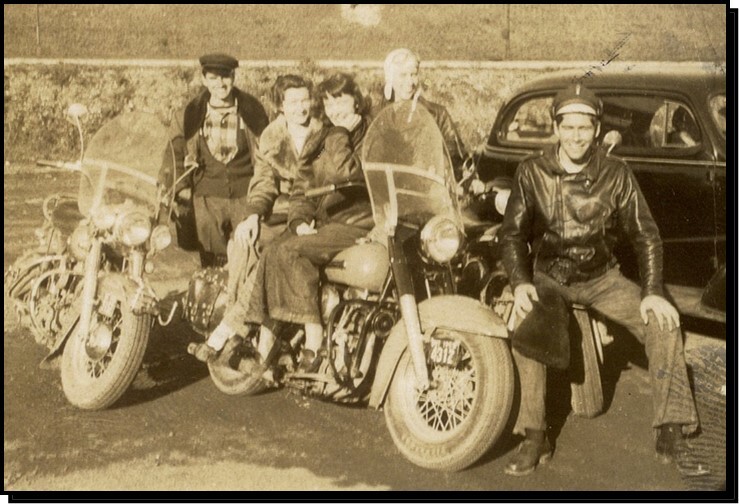 At the request of her father, she restricted her Harley to no more than 45 mph so always assumed the rear guard position on club rides. 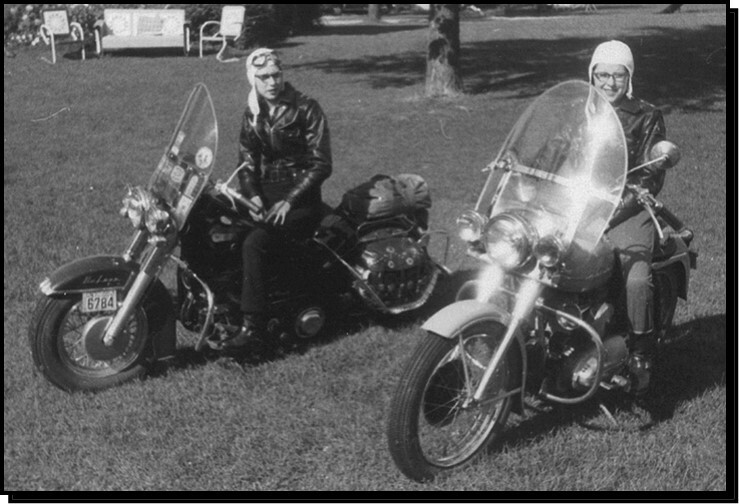 Audrey remained a club member of the Skyhawks, later to become the Welland County Motorcycle Club, for over 50 years. 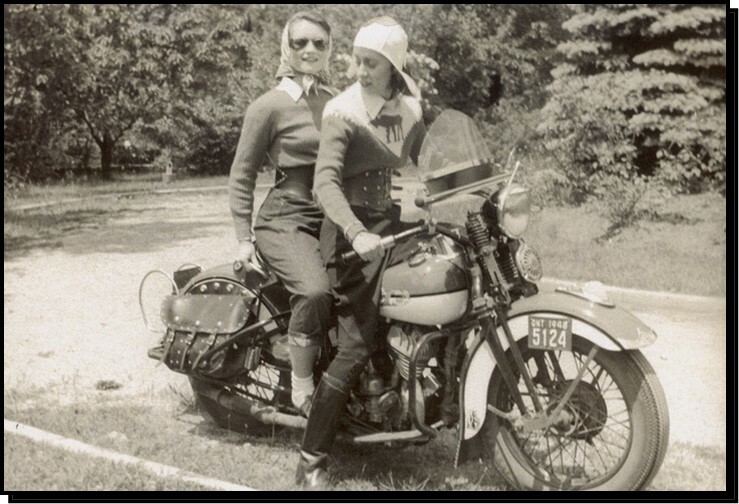 Although Audrey was fortunate to have the support of her family, she yearned for the camaraderie of other women riders. 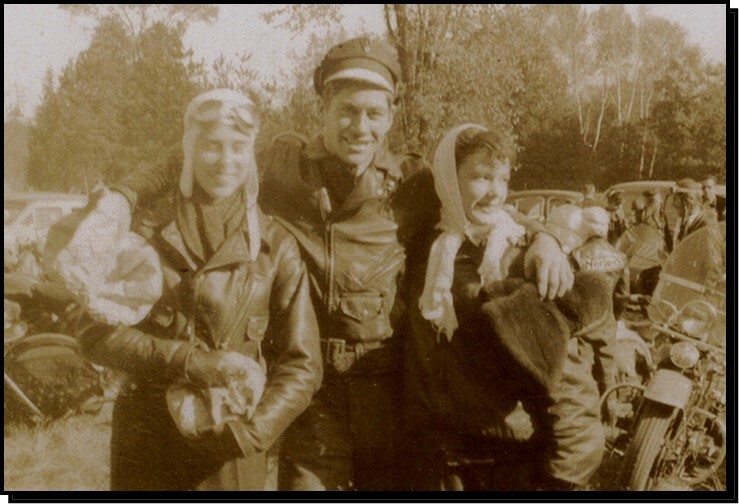 She soon discovered the American-based Motor Maids, formed in 1940 and conceived by Linda Dugeau. Because she was the best known woman rider at that time, Dot Robinson of Detroit was first president. Informal meetings and get-togethers were held at various events across the country, even though during wartime travel was greatly restricted because of gas rationing. 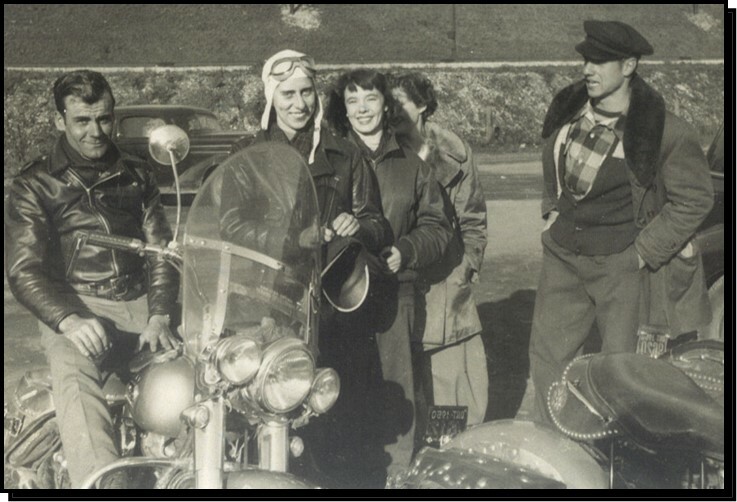 The founding premise of the Motor Maids was to unite women in promoting interest in motorcycling. The clubs very rigid rules made it an honour and a privilege to belong. Audrey Alexandre was probably the first Canadian female member, joining in 1949 and becoming the national Canadian director in 1955. National conventions are held each year and Motor Maids may only attend on a motorcycle. Audrey's first convention was at Freeport, Illinois in 1951. In 1956, Audrey hosted the first Motor Maid Canadian convention in St. Catharines. She says the best convention was at Indianapolis because she was able to ride on the race track; the most fun was New Orleans and the farthest, Yakima, Wash. Her last convention was in Kingston, Ont., in 2006. With her years of riding experience Audrey no longer rode at the back of the pack; she was often found at the front. She liked to plan the route and researched it thoroughly to ensure that her fellow riders would have a safe and comfortable journey. One of her most memorable rides was the cross-country trek to Yakima, a journey of more than 7,300 km. 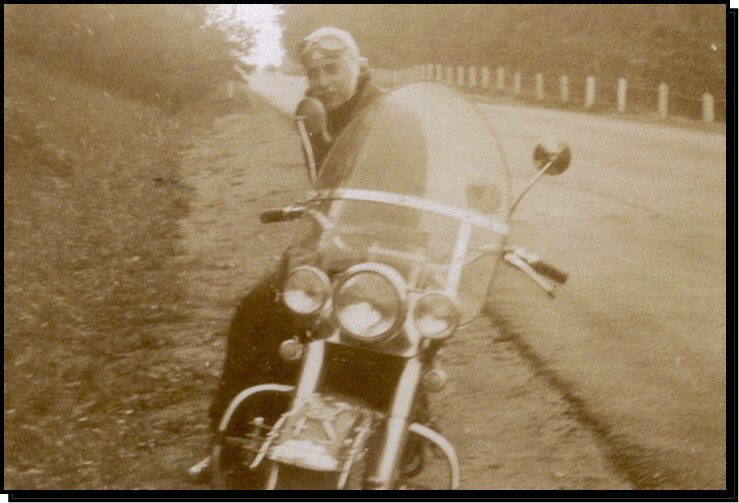 She also assisted honorary Motor Maid, Janet Harpwood with the Bob Harpwood memorial races in Welland; the Motor Maids were invited each year to parade, coming from all over and many camping in her yard. 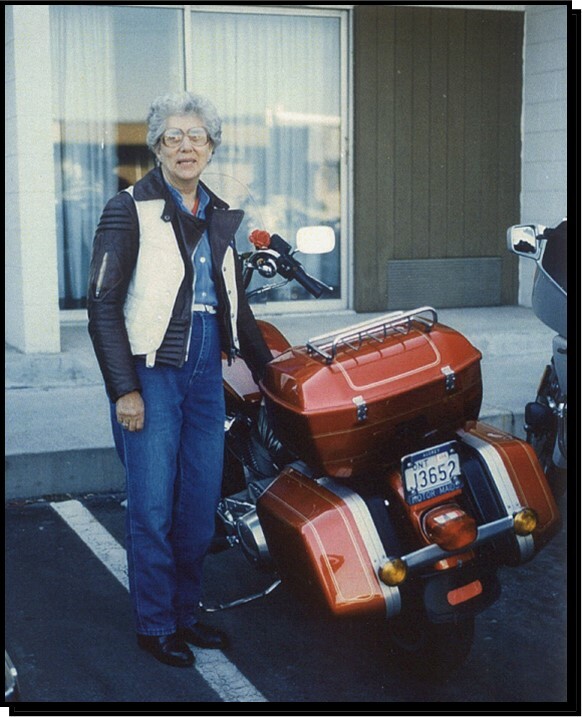 In July 1999, Audrey celebrated her 50th year as member of the Motor Maids. 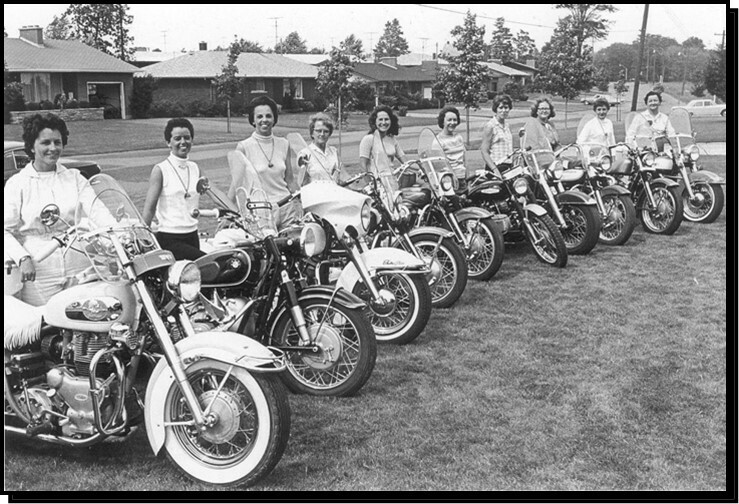 One of the key philosophies of the Motor Maids was, just because you ride a motorcycle does not mean you cannot be a lady. 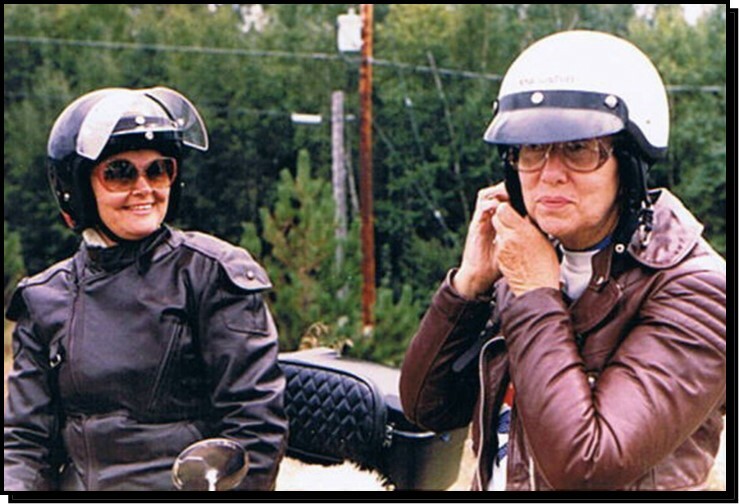 In all her years riding and witnessing the great changes in motorcycling, the two changes that she truly appreciates today are the electric starter and the increase in women riders. Audrey married Conrad Alexandre in 1959 and had two sons. Her husband, who also rode a motorcycle but gave it up before they were married, supported her love of the sport. Conrad has passed on but her sons live near her. She also has two grandchildren and one great grandchild. In 2004, Audrey finally parked "her best friend" her motorcycle. Audrey's friend, Dorothy Seabourne writes, There are those who win the awards and wave the flags, getting all the attention, but then there are those who are not in the limelight. It is those few who leave an impression. They are true leaders. Without their image and the passion they exude, many of us would not have learned what real riding was all about. The endurance they showed on roads less than perfect, wisdom to handle themselves and their rides with grace and with learned knowledge, having the dignity to do it quietly, gives the strong image of a Motor Maid one can be proud of. This I have seen riding with my friend Audrey. I proudly followed her for 25 years and learned. Congrats to you Audrey. Many of us wish we could accomplish what you have and you did it with class just because you wanted to ride. Dorothy Seabourne. Audrey's greatest advice to her friend, Dora Cook was, You must never turn around, no matter what,meaning never give up, the ride ahead is worth it.